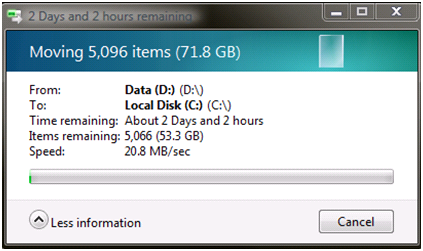 It's amazing that 12 years after windows 95, copy-move operations are now slower. Quite terrible that we need a KB article + hotfix to fix DAMN file copy operations. Scott Hansellmann has alist of alternatives to copying via the explorer.